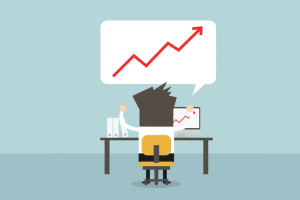 In the past decade, a new voice has entered the digital stage: the social influencer. 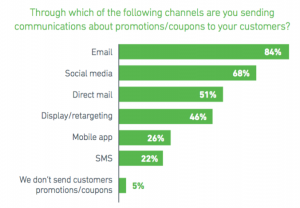 According to Tubular Insights, 57% of consumers have made a purchase based on an influencer’s recommendations. This, in turn, has encouraged brands to seek out partnerships with vloggers and YouTube celebrities. However, as with any other marketing strategy, your influencer strategy should be based on measurable opportunity. Let’s see how brands can evaluate the relevance, audience overlap and overall potential of YouTube influencers to get the most from social partnerships. Let’s start with an example of how a beauty brand can evaluate the best YouTube Influencer to partner with. 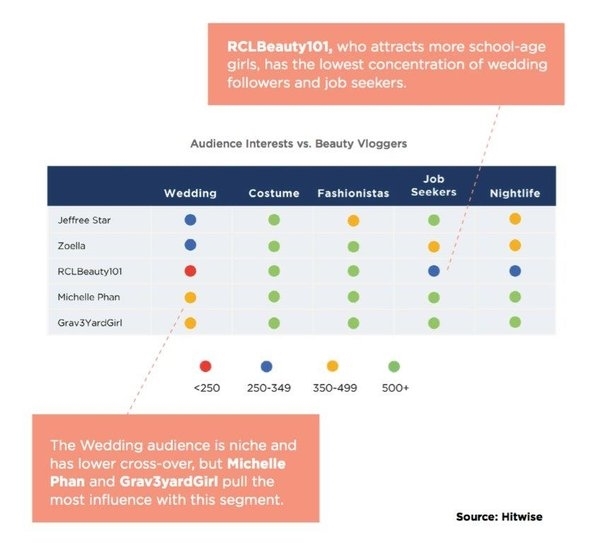 In the chart below, we compared the audience overlap between women with different lifestyle interests (Fashionistas, Job-Seekers, Wedding etc. ), and their engagement index with different YouTube influencers. As we see below, Beauty vloggers are a great match for Costume seekers and Fashionista audiences. Next, we break down the most engaged audience segments for top cosmetic brands, like Sephora, Clinique and Sally Beauty. 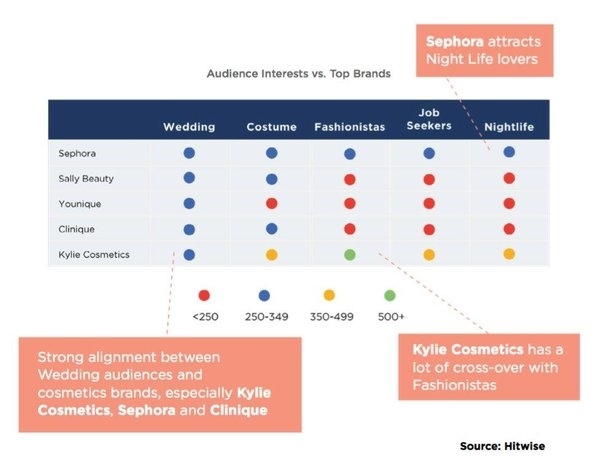 While the Wedding audience shares consistently strong overlap with makeup brands, Kylie Cosmetics shares even higher engagement with Fashionistas. 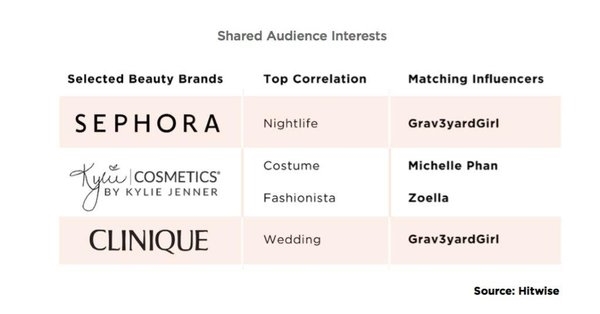 Younique, in the meantime, has the lowest overlap with Fashionistas as well as three other audiences: Nightlife, Job-seekers and Costume. When brands better understand how their audience composition — and their audience’s interests — overlap with social influencers, this provides direction on who to partner with, and for which products. For example, Sephora might want to promote their “Girls Night Out” line with Grav3yardGirl, or Kylie Cosmetics might partner with Michelle Phan to produce a makeup tutorial on the Deer Snapchat Filter costume using Kylie’s Bronze Palette. Source: YouTube influencer segments based on internal site searches for each influencer on YouTube.com. Audience segments (i.e. “Wedding” “Fashionista”) based on search behavior indicating interest in particular theme. Segments built exclusively based on female consumers. Pulled over the month of June, 2017. In summary: Not every social influencer in your industry is ideal to partner with. 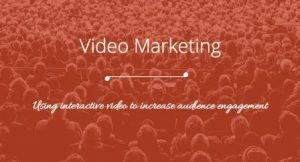 Conduct an audience overlap analysis first for the best possible fit. 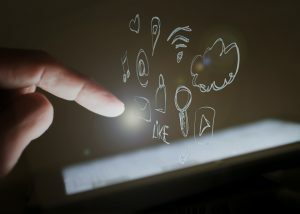 Understanding the interests of both your audience and of a social influencer’s audience can help to align specific products with the right influencer. 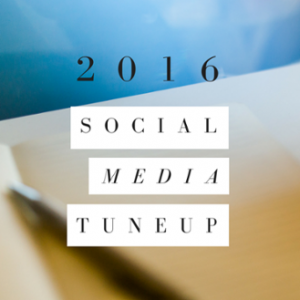 Curious About Leveraging Pinterest for Your Business?